The Royal United Services Institute - Vancouver Society (RUSI) was formed in 1921 as a military institute. Subsequently, the membership was expanded to include officers of the Navy, Air Force and Royal Canadian Mounted Police (RCMP). During World War II, the name was changed to the United Services Institute of Vancouver. In 1989, Royal assent was granted to change the title to the “The Royal United Services Institute - Vancouver”. In 2011, RUSI Vancouver was formally registered under the BC Society Act and became the "Royal United Services Institute - Vancouver Society ". 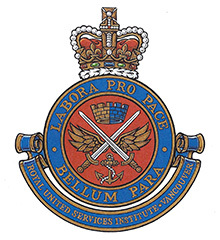 The Royal United Services Institute - Vancouver Society has established this web site so that we can keep our membership informed about activities and events. The web site is a “work in progress”. Like many other web sites, it is destined to evolve. We welcome the visit to our site of non-members and the members of other institutes.